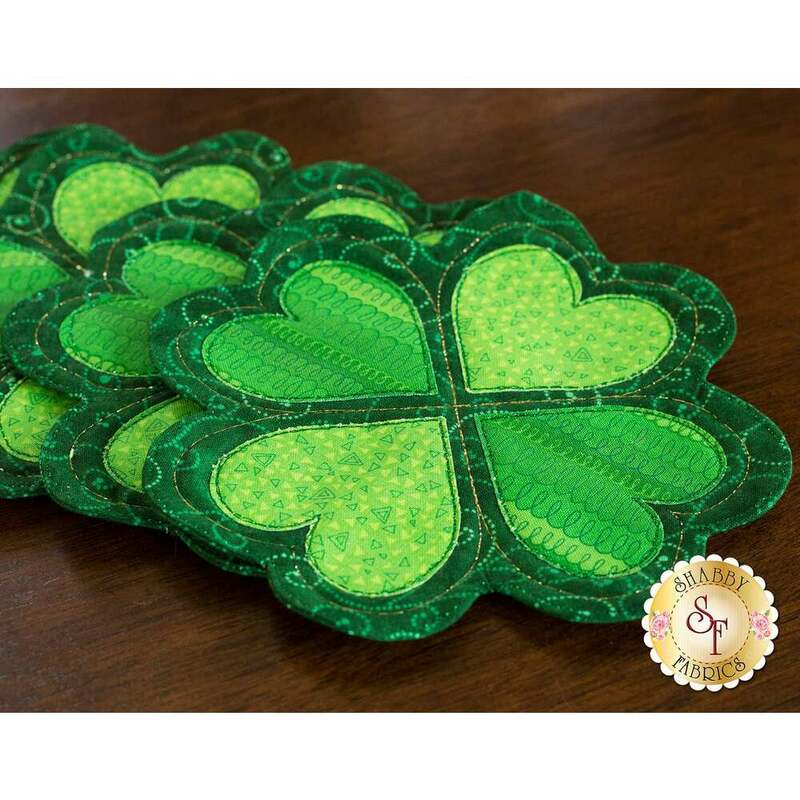 Video demonstration project - Sew side by side with Jen for added details with our “Table Glitz - Clover" video. 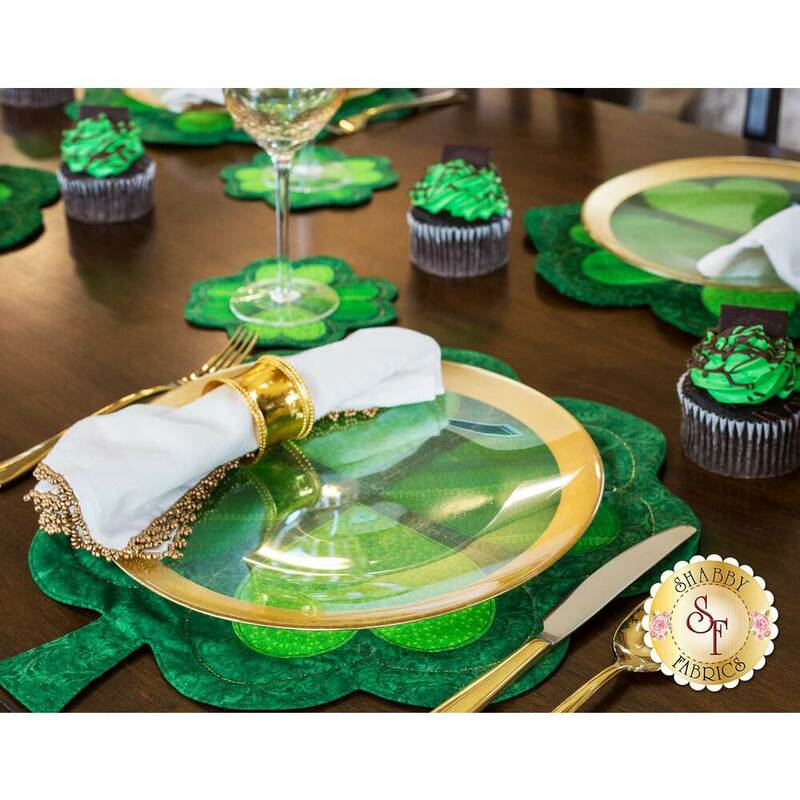 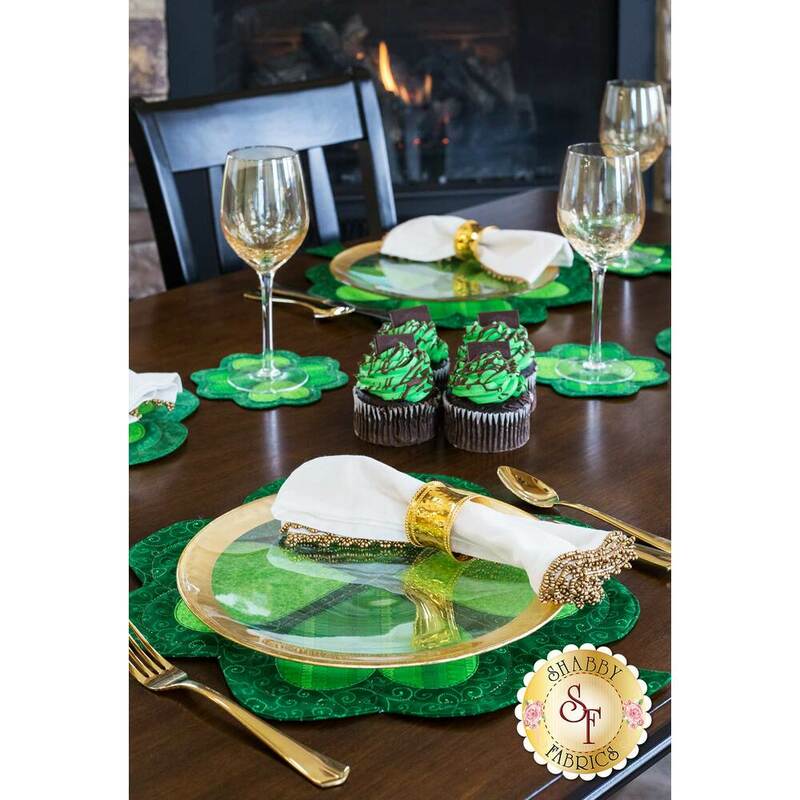 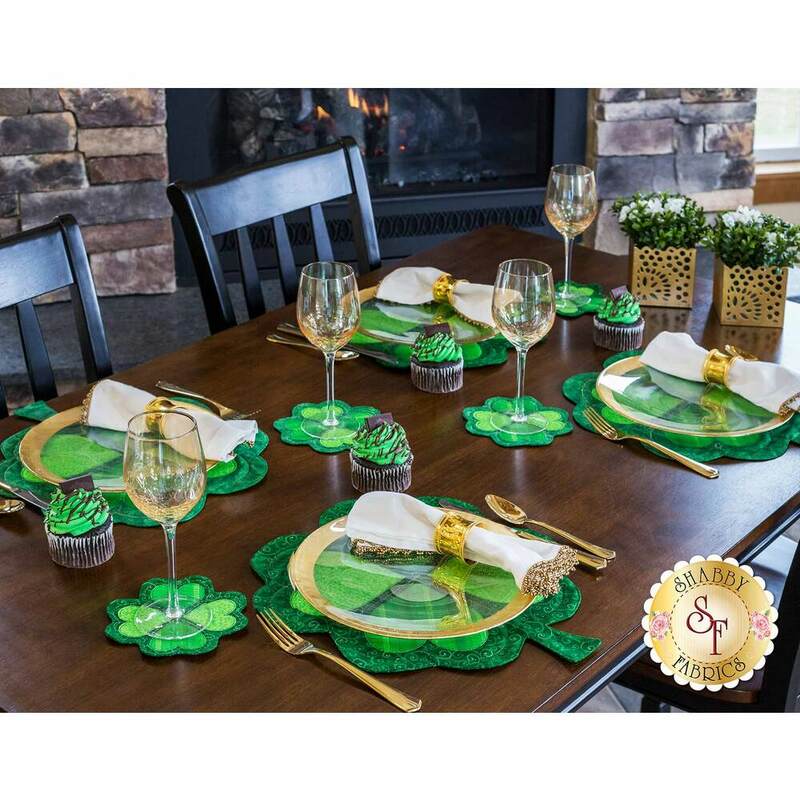 The March Table Glitz Kit brings a rich variety of green fabrics in a sweet clover-heart design, then finished with gold metallic stitching to add the glitz to your table! 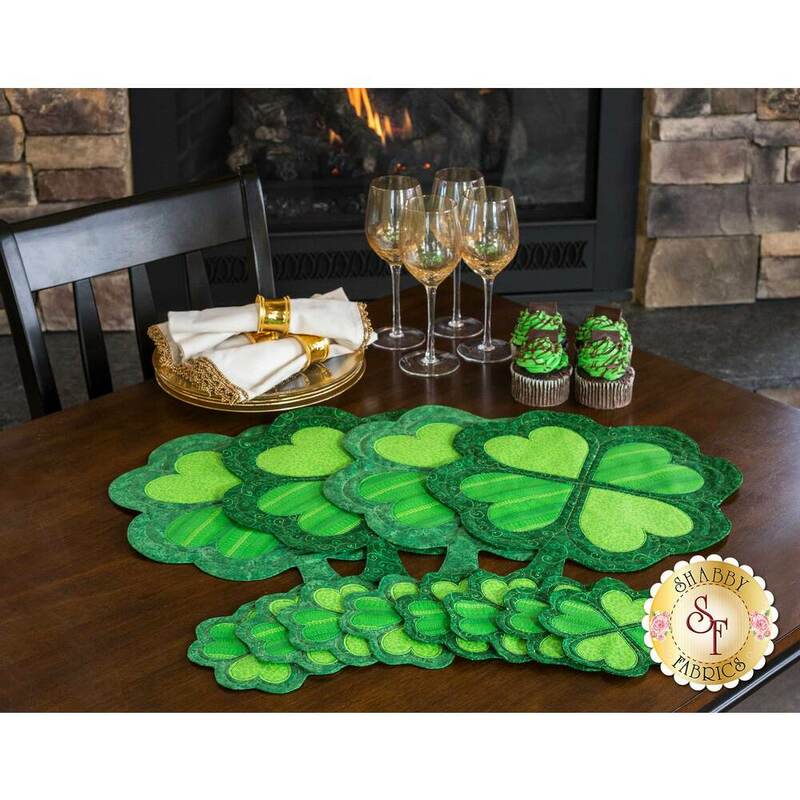 These delightful placemat and coaster sets are designed, and only available, right here at Shabby Fabrics! 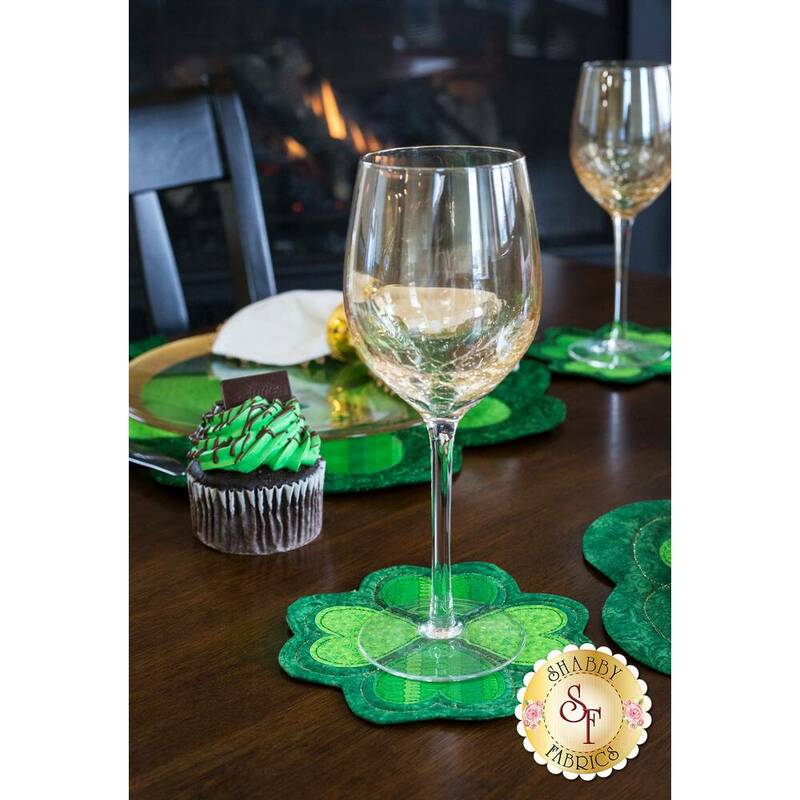 Placemats measure approximately 14" x 15½" and coasters measure approximately 6" x 6". 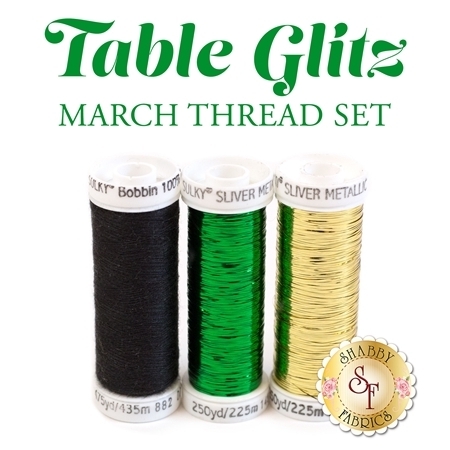 3pc Table Glitz March Thread Set - Coordinating metallic threads and the Sulky bobbin thread add the Glitz to your project!